Thanks Shutter Sisters and Lensbaby! I won! I am shocked but I won! I am so excited. I have been a member of Shutter Sisters for almost a year now and they have the funnest challenges. 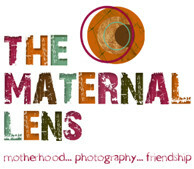 I love to read their blog and see what they have to say about photography and we as women look at the world. IT is a delight. The biggest thing for me is that I love the sisterhood. I have gained some really great friends through Shutter Sisters. This month the project was to find a word you would like to work on through your photography and post your images. It was a lot of fun. My word was Amore, I thought it a good word for February. Thank you to them for choosing my photo and thank you to Lensbaby for the cool lens. I have always wanted one. Yea!!! Congrats! It’s well deserved…you do lovely work. I saw that and clapped! Way to go… enjoy the composer! I’m still so excited for you!!! Congratulations! You deserve it; and you will love the lens. I just know more of those romantic, dreamy images will be upcoming. I never seem to have enough time to do all the fun things on Shutter Sisters. This was an easy challenge and I usually do not participate. You choose a word and post images that you feel represent that word. Easy enough and you had all month to do it. I can’t wait to see what you do with the lensbaby. The pics are going to be spectacular! Congratulations! High-five!! You totally deserve it. This pictures is just awesome. Babysitting really pays off sometimes!!! I am so excited to see the works of art you create with your lensbaby! Congratulations! It was great to see your work through the month of February! Looking forward to more wonderful-ness from you! Wow! That is one beautiful, touching, sweet image and so fitting for your word. Congratulations on winning the much coveted Lensbaby. Can’t wait to see what you create with it! Wooooot! I’m so so excited for you. It is such a beautiful image. I CANNOT wait to see what you produce with the new lens baby. I want one of those so bad. P.S. I got the print yesterday and it is even more beautiful than I expected. Thank you!! Congratulations, Leaca! That photo is so, so lovely…well deserved! Great job – I think we all fell in love with that photo! Can’t wait to see what you do with the Lensbaby!